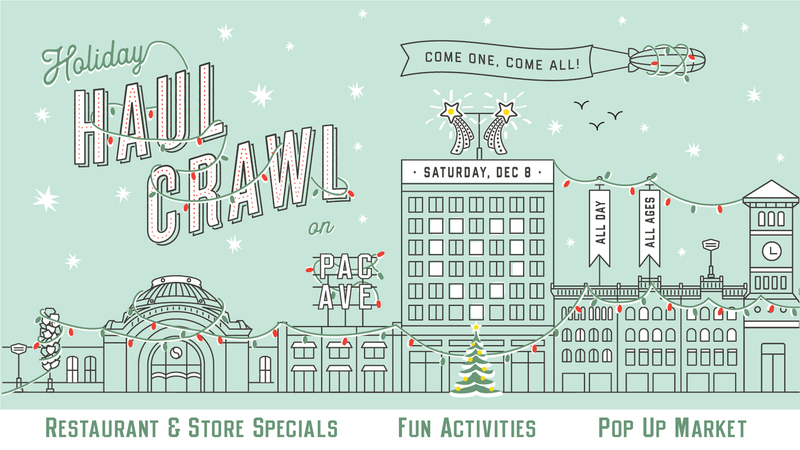 Join us for Tacoma’s 3rd Annual Holiday Haul Crawl for a full day of events, giveaways and holiday specials at local boutiques and restaurants. Support local businesses AND get a head start on your holiday shopping! We’re still finalizing our list of businesses and holiday deals. Here’s what we’ve got so far! Stock up on your prepaid punch cards! Each card has 5 punches for the price of 4. The first 25 customers to purchase a gift card will get a free collectible Tinkertopica artist trading card set. Collect and trade them all! Holiday themed photo booth. If you take a photo or come in wearing holiday gear, get 10% off purchases. Free tote bags and gift wrapping with any in-store purchase. Check back soon to learn about special holiday deals and activities for shoppers!